Arunachal Pradesh Public Service Commission inviting Offline Applications for Core Faculty Law, English vacancies at Arunachal Pradesh. 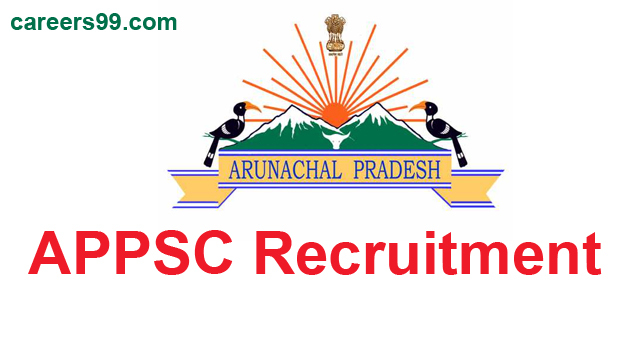 Arunachal Pradesh Public Service Commission invites applications for the posts of Core Faculty Law, English of 19 vacancies on its official website appsc.gov.in. The details of APPSC Notification 2018 are available at careers99.com also. Interested and eligible candidates can Apply Offline before the last date of the Notification i.e., Updating Soon. Education qualifications, age limit, selection process and other details are as follows..
Educational Qualifications Masters Degree level (LL.M. & English). Masters Degree level (LL.M. & English). Good academic record with at least 55% marks. Must have cleared the National eligibility test (NET) / SLET / SET. Selected candidates will get Rs. 15,600 – 39,100 with AGP of Rs. 6,000/- Per Month by the Recruiting Organization. in the form of DD/IPO in favor of Secretary, AP PSC, Itanagar, Arunachal Pradesh. Eligible and Interested Aspirants are requested to Download Application Form from Below link of appsc.gov.in Website and Submit it to the mentioned Address before the Last Date i.e., Updating Soon.